Recalling earlier June when Russell Westbrook gave us a first look on a sneakers design and collaborated by two major companies. BARNEYS from New York & Footwear top brand JORDAN, both uniting to bring you a new model and one of a kind UPSCALE from all the original shoes in the RETROS line. 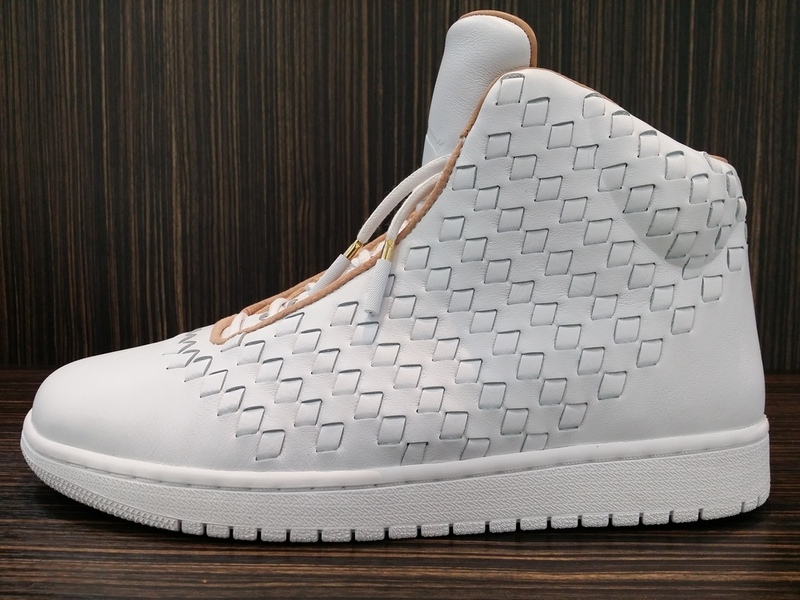 This Collab introduces the Premium sneaker called JORDAN SHINE. As we remember a few months ago, the introduction released two series of colors, the full Triple Black and the Blood Out Red but this time. They take it up a level and bring you a Vachetta Tan theme, to give it a touch of flavor. This shoe is dressed in a full premium white Leather, utilizing that WOVEN design structure that people have loved since it's induction, it features a Vachetta Tan flavor throughout the inner lining, which is build with an amazing premium leather, as we look at the sole it borrows the bottom the sole from the original innovator the RETRO 1, and keep the classic theme going into the future, finally it brings you custom WAX LACES and Gold lace tips. We are honored to be one of few store to be releasing these kicks, Since each shoe has a lacer engraved number to Limited the amount sold, making it a 500/500 pairs chance, which number will you be getting it ? You might just be the LUCKY #1 . Raffle Only Available on Men Size, raffling ends Friday, September 26, 2014 at Noon. Winners will be called Friday evening between 4pm-6pm. Nike Air Trainer Huarache Premium "Dark Emeral"